2nd is Pre-order method CrowdFunding: Here people make online pledges during a campaign, to pre-buy the product for later delivery. A good example of this, is Kickstarter. And finally the 4th is Equity based Crowd Funding: This is the newest model, which will allow large numbers of “regular” people like you and me, to invest small amounts each online to fund early StartUps, with the expectation to receive dividends or investment appreciation based on the profits of the business. A new capital market, equity CrowdFunding, is opening in the United States to provide small and emerging businesses with much needed access to investment funds. If you own a company, this guide will assist you with increasing the probability of successfully raising up to $1,000,000 through an Initial Crowd Offering™ (an “ICO”). An ICO is the IPO for small and emerging businesses, and it is the newest way to invest in and raise capital for emerging small to mid-sized businesses. What is equity crowdfunding or an ico? Quite simply, it is the act of raising equity capital from lots of small investors online. On April 5th, 2012 President Obama signed the JoBS act, which stands for the “Jumpstart Our Business Startups Act.” This Act now allows business owners to raise equity capital from a wider pool of smaller investors than ever before, among other things. Interestingly, Obama himself used a form of an ICO when he raised over $500,000,000 for his first election campaign… largely in sums less than $100. By all accounts there is a gigantic pool of available capital in this new market, largely from tapping the substantial number of people who want to participate in the donation and equity based funding opportunities. Multiple sources report the available capital will exceed $300 billion, which is the exact economic stimulation envisioned through the JoBS act. This is a game-changer for entrepreneurs, as access to capital is the most significant hurdle to starting and growing an emerging business. Success rates for crowd offerings are generally in the 40% to 50% range, much higher than the 5% “yes” rates from VCs or 10% of small business loans. The new market will open when the SEC issues its final rules by December 31, 2012. In the short period of time before then, companies should begin the process of preparing to file an ICO by reading this guide and visiting ww.initialcrowdoffering.com for more information. All equity capital rounds take a reasonable amount of time to close. Preparation is key to achieving your funding goals. Your success in raising capital will be determined by two primary value determinants: 1) the quality of the underlying business idea; and 2) the quality of the capital raise effort itself. While the fundamental business plan is essentially what it is, the capital raise can be organized and executed to maximize the probability of success. You've got an awesome idea to get that idea launched you need to raise capital, which is actually really hard traditionally. You'd ask a bank or a couple big investors for funding, but banks aren't lending and they want collateral that you don't have any way big investors less than three and one hundred startups get so lucky. 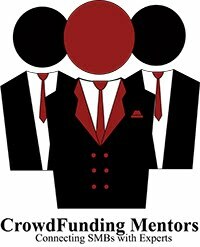 If you really want your idea to get funded you'll need to tap into your own savings home equity and credit cards to contribute nearly half the rest of the funding will need to come from people like your friends family colleagues and acquaintances but this economy isn't doing you any favors. 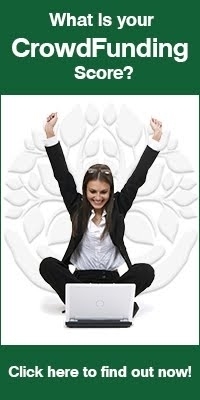 You are not alone, think of how ordinary investors must feel? They experience a little (low) returns on savings and old laws have kept them from getting in on the ground floor of your awesome idea. Do not give up so easily because new laws have changed all that now there's a new way for ordinary people like you to get your awesome ideas funded, it's called the investment crowd funding so maybe you are familiar with the crowd funding part you know, like those social sites that help you raise money through donations rewards and advance purchases, but investment crowd funding is different because you raise money through investors who now share the risks and rewards of your idea, rather than trying to pitch your idea to tons of big investors, hoping one will bite or going to into serious debt. Investment crowd funding leverages the internet and social networks to make it possible for you to get small investments from a lot of people who believe in your idea, people who never would have known about your idea before, pretty cool huh. So investment crowd funding is a brand new way to raise capital, ordinary people like you get your awesome idea funded and ordinary people like you can invest in great ideas it's capitalism for the rest of us.